End of Life Counseling: Controlling Your Destiny or Death Panel? End-of-life planning has been an important issue for me ever since I witnessed heart-breaking patient scenarios as a nurse in my 20’s. Reducing this process to “death panels” has been offensive and misleading, but an announcement this week signals the end of that political nightmare. Medicare did something very important this week when it announced that it plans to start reimbursing doctors (as well as APRNs and PAs) for time they spend helping people decide how they would like to live at the very end of their lives. 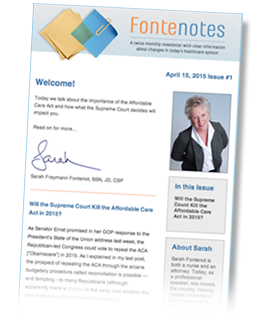 In 2009- at the height of the fight over the Affordable Care Act [ACA] – a similar provision in the law was met with cries of “Death Panels”– resulting in its removal from the final Act. Not surprisingly- with the announcement last Wednesday the “Death Panel” specter has been raised again. the whole point of the conversation is for patients to make their own choices. It’s not a choice if the only option is to say “No” to life-extending treatment. Having a “Living Will” does not mean you don’t want intervention at the end of your life- it just means you have an opinion and you want people to follow your wishes if you can’t speak for yourself when the time comes. If you want every possible intervention to prolong your life every possible minute – Fine! If you do not want intervention that postpones your life in an increasingly diminishing capacity- especially in an institutional setting removed from your loved ones- then again- Fine! But either way, you need to say so while you are still competent. Far too often people who would have loved to choose cannot- due to dementia, head trauma, coma or other disabilities. So regardless if you want every new technology or comfort care only- your only alternative is to speak for yourself proactively- before you reach that point. I would advocate you take this step regardless of your age– but for obvious reasons it is all the more important if you are in the last third of life. Medicare reimbursement establishes that conversation- not once but over time- as an important aspect of comprehensive patient-centered medical care. So spare me talk about death panels. What we are protecting is the right we all hold most dear- our right to be able to control our own health care destiny. The reimbursement of physicians to provide more time to help us with these difficult decisions as we approach our final years is the right thing to do. This is not the abrogation of our rights as patients- it is recognition of how fundamentally important our own choices are.